With the major changes in healthcare over the last few years, much of what we understand about insurance has been turned on its head. 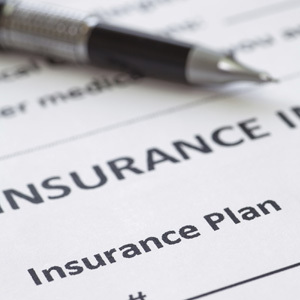 The term “Insurance” now often means something much different than how it’s traditionally understood. Dental insurance is a prime example. Rather than a means to protect the insured from unforeseen costs, most dental policies work more like discount coupons. The vast majority are paid by employers as a salary benefit to reduce but rarely eliminate an employee’s treatment costs. In fact, paying dental insurance premiums yourself may not be cost-effective. The average person spends $200 a year on basic care, while a typical policy costs $500 or more annually. Even if the plan fully paid for basic items like cleanings and checkups, the total cost with insurance can still be greater than paying out of pocket. Most plans also have deductibles — the fee portion the patient is responsible to pay — and annual maximum benefit limits of typically $1,200 or $1,500. With rising dental costs, these deductibles and limits may not be adequate. There are also different types of plans, such as direct reimbursement or managed care. Under the former your employer is actually paying the claims from company funds — the insurance company acts as an administrator. The latter type packages services with select providers: the out-of-pocket costs are lower but your choices of provider are usually limited to those in their network — which on a new plan may not be the family dentist you’ve seen for years. If you have a private plan, you should look carefully at your total costs, including premiums and out-of-pocket expenses, and compare those with projected costs without it. If you’re on an employer-paid plan, then be sure you understand it fully, especially any limits or restrictions. Also, speak with your dentist’s business staff to see how you can get the most out of the plan — dental offices work every day with insurance companies and know how to maximize your benefits. Remember too that regular office visits for cleanings and checkups — as well as your own daily hygiene practices — are the best way to reduce long-term dental costs. Taking care of your teeth with preventive care will help ensure you’re not dipping into your own wallet — with or without insurance — more than you should.